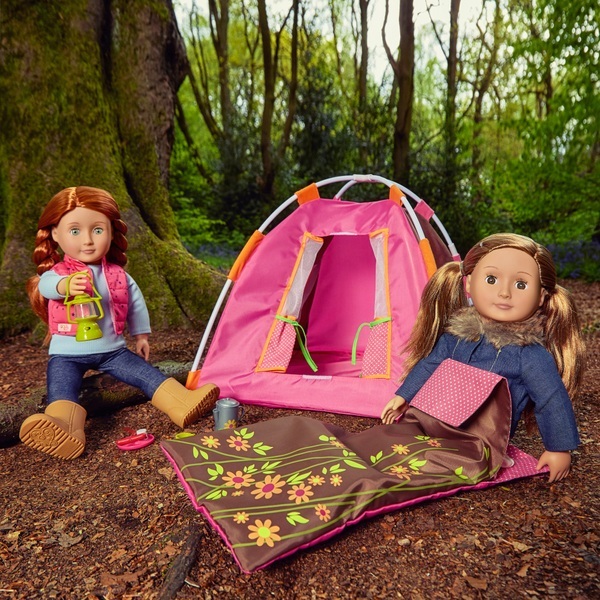 A doll camping set by Our Generation is an adorable way to let your little one take dolls on camping trips in style. The set has doll- sized equipment, a tent and a sleeping bag. Your child's doll will be comfortable during any overnight excursion into the wilderness. The set is the perfect way to teach your child about camping and the outdoors. Doll not included.